I grew up around photography (my mom was a photo major in college), but it wasn't until late high school, and during my applications to colleges, that I realized I was interested in taking pictures and would have an automatic response to things whenever a camera was in my hand. My freshman year of college I declared as a fine art photo major and never looked back. My usual style relies heavily on the interaction of color, and I figured out how important that is to me during my college color photography class. I think photography can be like writing, you speak best about what you know. How closely an artist knows their city might depend on what their primary subject is, and I know I sometimes find the best inspiration away from home. However, being aware of one's surroundings and responding to them is a large part of what art is, so it ends up being a very important component of creating work, whatever form that takes. I think mostly historical photographers have influenced me, or given me permission, per se to let me explore different things that I felt a leaning towards: Harry Callahan, Uta Barth, Joel Meyerowitz, Robert Frank, Andre Kurtesz, William Eggleston, Edward Weston, Walker Evans...that list goes on and on. And then my professors in college, Phil Moody and Dustin Shores, were incredibly patient and open teachers, allowing me to figure out myself over the years. I consider myself a part of two places, Rock Hill, SC (where I went to school), and Charlotte, NC. Both cities have many opportunities for exhibiting work and getting into shows. A lot of the artists I went to school with are still in the area, and while they aren't photographers having that community of like-minded people is a must for keeping creative juices and priorities flowing. As for Charlotte, I have a great group of friends there who love photography and have created a very active Instagram community, with Instameets, regularly getting together to take pictures, inspiring each others work, and spreading interest in Instagram and photography. My family is from all parts of the country (North, South, Midwest) and I grew up in the middle-class suburbs of Atlanta, with neither of my parents having strong Southern accents. I also love history and the atmosphere of different places and time periods. So, while on the one hand Southern stereotypes are ingrained in me, they can also feel like a novelty. I am sure that when I go to either rural or very urban areas, I am probably interested in things that to those who live there, would seem very stereotypical. At the same time, I think this is a good perspective to have, this inside-outside relationship with what I am observing. I am from the South, it is in me, and I love it, but I haven't experienced all it has to offer. Honestly, I think it all comes down to what I find interesting, and sometimes that will play into stereotypes (such as old, peeling paint on run-down buildings), and other times it will convey new ideas. One thing that I have focused heavily on in my photography is unusual and alternative ways of presenting it. 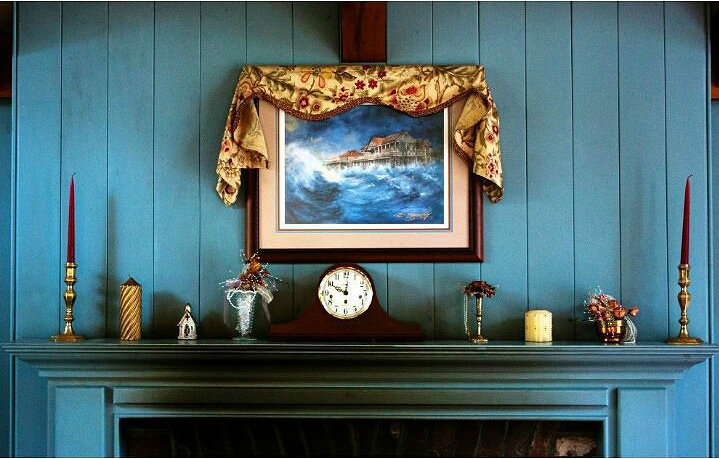 A print hanging on the wall in a traditional mat and frame can be so flat. A lot of my projects throughout school involved various ways of hanging photographs more in an installation style, and my senior year I took photography almost into the sculptural realm by creating a 3-D printed sculpture from one of my photographs. The surface and the texture spoke to the similarities between landscape, the human body, and the qualities of surface. This piece was recently exhibited in the show Body Beautiful at the Ciel Gallery in Charlotte.